I woke up this morning to the smell of sweet pineapples carried on the breeze into our bedroom. It’s pineapple season here in Hawaii and this morning we had a pile of 6 ripe pineapples that we needed to either eat, dry or freeze before they went bad. Like I say, fresh is best, but I’d rather dry and freeze certain fruit than waste them altogether. Pineapple is one of those fruits that happens to freeze really well for future smoothies and even ice-creams – an excellent treat in the warm summer months. We also have a massive avocado tree right outside our house that is dropping avocados faster than we know what to do with them – which inspired this delicious and refreshing salad that we absolutely loved. It consists of any leafy greens you have available as the base, topped with a salad dressing and a salsa. When it comes to salads and raw dressings, I like to keep things really simple. When it comes to food combining, mixing acidic and even sub-acid fruits with a fat is a great combination for most people. The idea is that the more acidic foods (like pineapple) can actually help digest fats and also makes for tasty salad dressing combinations like pineapple and avocado! For this recipe, all you need is a high-powered blender. I personally love my Vitamix. If you don’t have a good blender, it’s worth it’s weight in gold. 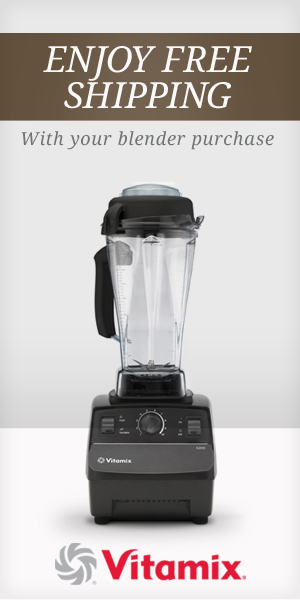 A high-powered blender is one of the top 4 essential raw food kitchen tools that I recommend. For this salsa recipe I used one 1 medium red pepper, 2 small (ish) tomatoes and enough pineapple to have an even distribution of equal parts of the three ingredients. Once you have your small dice of salsa in a bowl, squeeze the juice from one lemon over it and toss it together, letting the flavors marinate and blend together. Wash 2 heads of fresh, organic green lettuce and chop it up into whatever sized cut you like. I like my lettuce pretty chunky so I like to cut a thick chiffonade. Place the lettuce onto a plate or bowl and layer it with this fresh and delicious raw Tropical Green Dream Salad Dressing and then top with raw salsa. Garnish with a couple of slices of red pepper and or pineapple. Want me to prepare this recipe for you, right here in Hawaii? Check out our raw food Hawaii retreats. Already live here and need a caterer? Check out our catering page.